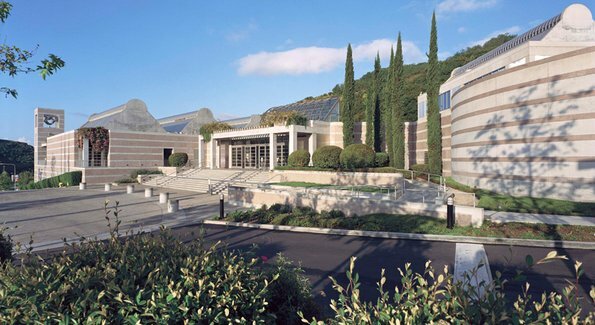 This museum of Jewish history, located in the Sepulveda pass, features rotating exhibits, film screenings and community programs. Most exciting for children is the recently opened “Noah’s Ark” display. Incorporating found objects to create an interactive floor-to-ceiling art installation depicting pairs of animals on board a wooden ship, the display created by famed avant-garde puppeteers Bread and Puppet is whimsical, enchanting, and teaches the value of reusing and recycling in art. While not as large or impressive as its New York counterpart, this natural history museum has its own considerable charms, with a focus on local history. A large basement exhibit traces California’s progress from backwater to major cultural force. There are amazing dinosaur murals painted by Charles R. Knight, who was the first to extrapolate anatomically correct drawings from fossils of extinct creatures. The traditional glass cases of animal displays are here too, as well as strong sections of South and Central American artifacts your children will find mythically inspirational. Dedicated to explaining and putting cultural and racial prejudice in context, this museum uses multimedia displays and videos to tell the hidden history of prejudice and its catastrophic consequences. An important lesson for your children about the dangers of racism and stereotyping, the museum aims to educate rather than entertain. Located next to the LA County Museum of Art, this gallery takes the stuffiness out of the museum experience and puts it into the hands of your children, with interactive art installations and a big green lawn in back with soft sculptures to play on. Some exhibits have paint or clay available, should inspiration strike. Live readings and music occur daily, so be sure to check the schedule before you go. Visitors park in the garage before taking the tram up the hillside to this museum located at its peak. The exhibits rotate and cover art both old and new, but if they aren’t enough to impress your children, the beautiful gardens and breathtaking views should do the trick. Buildings are spaced so you have to walk outside between them, the better to get every chance to observe a huge chunk of the Los Angeles basin (smog permitting). Outdoor music events are often scheduled, check the website for a calendar. 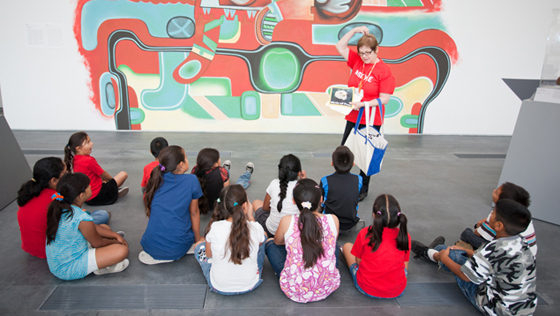 This interactive center features educational displays and a hall of Air and Space. 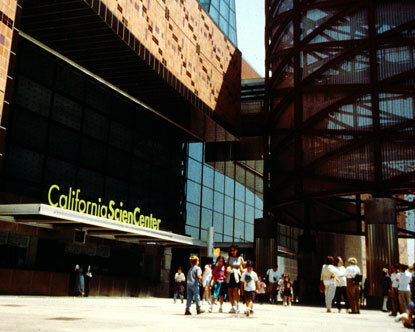 Rotating exhibits are often tied to blockbuster movies, emphasizing the scientific content of superheroes or “Star Wars.” The showstopper for children will be the attached 3-D IMAX theater, which shows a changing repertory of nature and science films filmed and shown in high-tech 3-D. 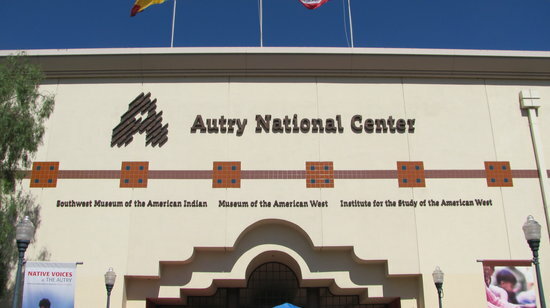 Honoring the legacy of the original “singing cowboy,” the Autry National Center displays Wild West meorabilia both geniune and cinematic, tracing the overlaps between the two. Featuring inventively interactive displays created by Disney Imagineers, there are spaces for your children to play dress-up in historical Californian gear, or ride a horse past an approaching steam engine through a blue-screen simulation. The real and the fantastic mingle freely; a room full of authentic Native American art and artifacts borders one detailing the history of the Hollywood Western with costumes, posters, and props.